This unique production comes to the Tivoli with a special one night performance of the best of Toto’s music. 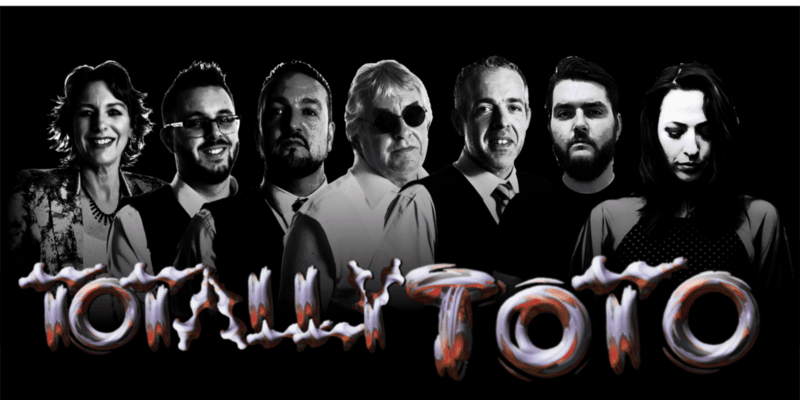 And Finally…Phil Collins are the UK’s number 1 Tribute Band and it just so happens they are all massive Toto fans too! Show Producer Tim Harper was more than happy to pull the project together when the Band approached him about forming this show. All of Toto’s greatest hits are included in this 100 minute production. Roseanna, Africa, Hold the Line are the obvious choices, but hard line Toto fans will be pleased to know a majority of the 25th Anniversary Tour music is also part of the collection being performed. And Finally musicians are regarded as some of the best in their field and they provide an accurate rendition of Toto’s music, paying homage to one of the World’s most accomplished bands. For this one off performance the Band is joined by a guest appearance of world class guitarist Ray Hatfield, so a very special night is guaranteed. This really is a night not to be missed for Toto aficionados and musicians alike.